Unfortunately, due to Hurricane Irma, the Tunnel to Towers 5K Run & Walk was unable to race this year. However, with the money they raised from sponsors and runners, the Tunnel to Towers, Savannah Organization donated $5000 to the Two Hundred Club of the Coastal Empire. All the money will be used to assist the families of our first responders who have fallen or been critical injured. 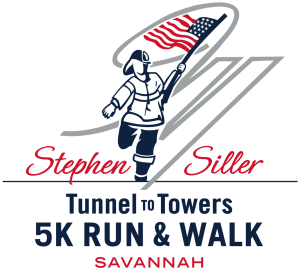 We would like to thank the Tunnel to Towers 5K Run & Walk Savannah and the Stephen Siller Foundation for their generous donation to the first responder community. It is with much honor we serve first responders and their families, during difficult times as does the Tunnel to Towers 5K Run & Walk Savannah.